The month of June, 2016 saw Bass Pro Outpost in Anchorage once again supporting Alaska's Outdooor Heritage Foundation (OHFA) and the Alaska Department of Fish & Game's efforts to preserve important traditions and the vital conservation programs those traditions depend upon. Throughout June, customers had the chance to "round-up" their purchases to support the OHFA. 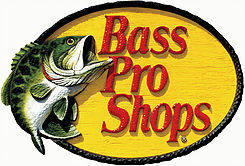 Since the opening of the Anchorage Store Bass Pro has been a major sponsor of our education programs. The importance of those programs cannot be overstated as the aging demographic of the average outdoors man clearly shows that our angling and hunting heritage is in jeopardy if we don't start teaching our youth. You can help support that effort by mentoring a new angler or hunter, or by clicking on the PayPal button above and making a donation.